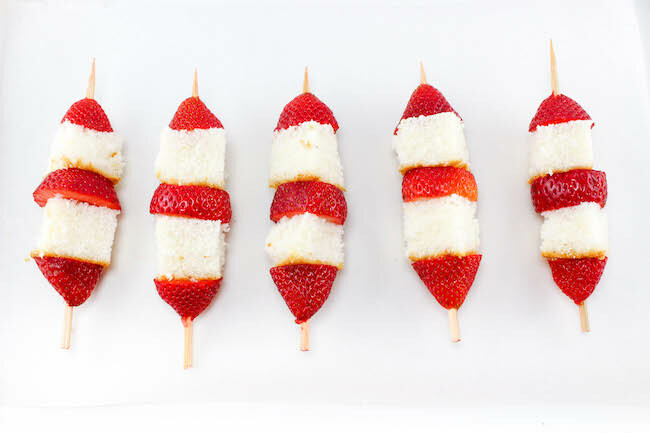 Strawberry shortcake kabobs are an easy to make treat that is light and refreshing on those warm summer days. Include the kids for a fun summertime activity that you can all do together! Have company coming over? 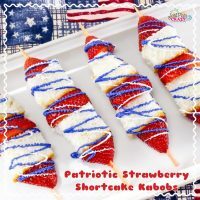 The Patriotic Strawberry Shortcake Kabobs Recipe is super easy and can be put together in just a couple of minutes. A super simple – yet super delicious treat that is perfect for parties or for snacking. 1. Cut the top off the strawberries and discard. Then cut the berries in half widthwise so the points are still intact. 2. Cut small squares of the cake, about 1 inch in size. 3. 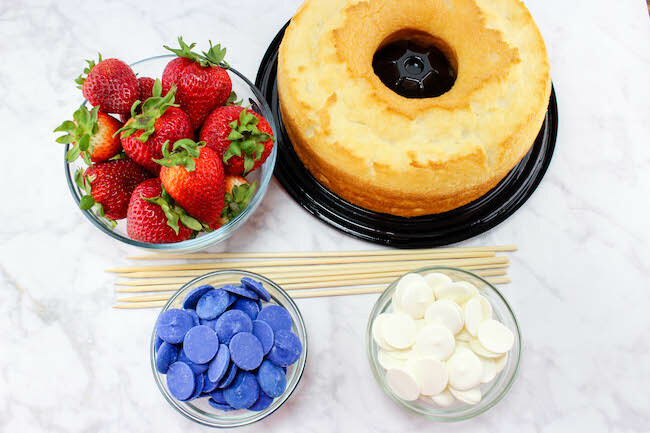 Melt the blue and white candy discs in separate bowls. 4. 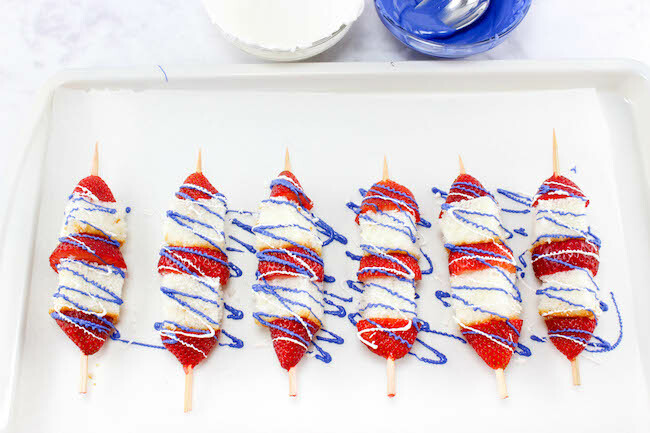 Put a piece of strawberry with a point on the skewer first. 5. Follow with piece of cake, then another strawberry piece with no point, then a piece of cake, and finally a strawberry with a point on it. 6. Drizzle the chocolate over the skewers. Strawberry shortcake kabobs recipes for those summer barbecues. Cut the top off the strawberries and discard. Cut the berries in half widthwise so the points are still intact. Cut small squares of the cake, about 1 inch in size. Melt the blue and white candy discs in separate bowls. 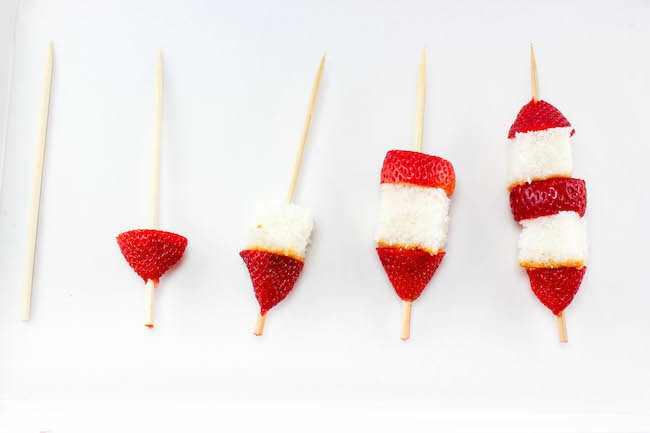 Put a piece of strawberry with a point on the skewer first. 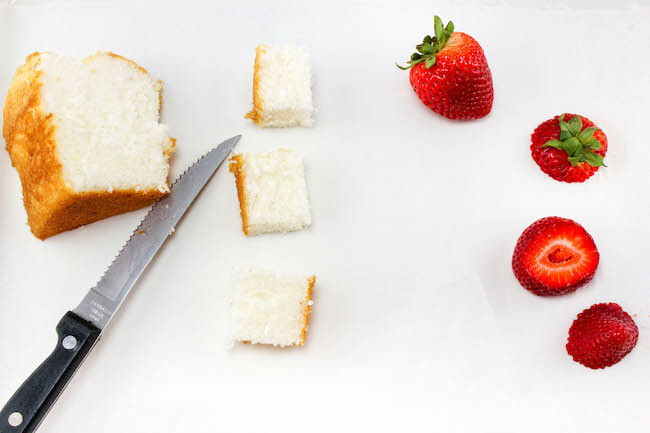 Follow with piece of cake, then another strawberry piece with no point, then a piece of cake, and finally a strawberry with a point on it. Drizzle the chocolate over the skewers. 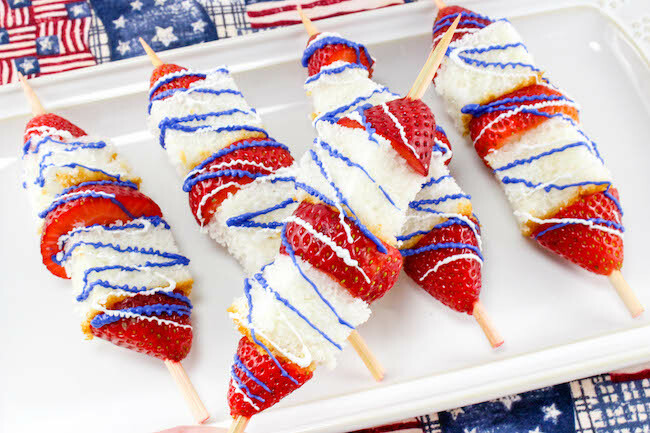 You can usually find red, white or blue paper table clothes this time of year at fairly reasonable prices which would make a great accent when displaying your strawberry kabobs. Using blue for the table cloth, add white napkins and red paper plates for a festive red, white and blue table. Blue plastic wear on the white napkins and red plastic cups add a nice touch. Make a centerpiece using a blue vase of red and white carnations, then add some flags. Give the flags to your guests after your meal is served. Another great way to make these is to add some blueberries or kiwi as well and mixing up the chocolate colors for some creative fun. 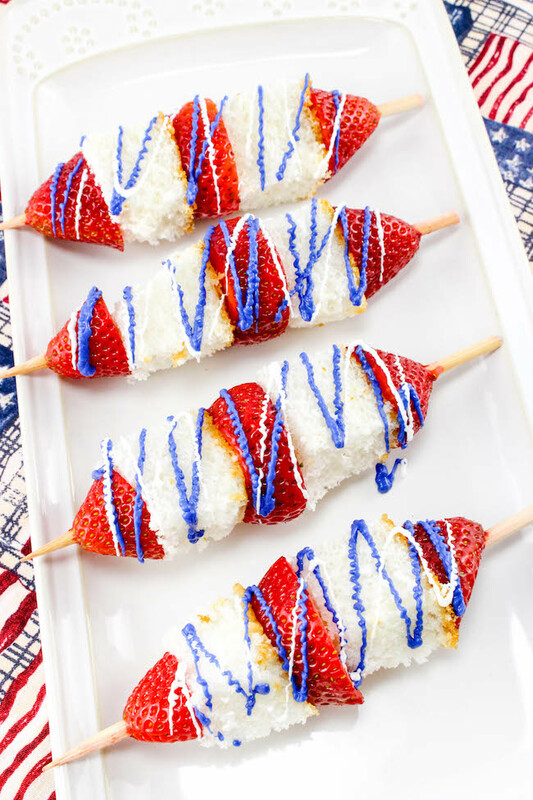 These can be made for any summer event so be creative and add this recipe to your must make summer list for a light healthier snack or dessert option!